UPDATE Our inbox is overflowing—readers who would like to wish Dr Michael E. Mann well in his life beyond science are invited to Tweet him directly. Thank you! UPDATE 2 Further analysis of this game-changing news can be found here. So far climate skeptics have failed to deny responsibility for the assaults, though they dispute that they’ve had a negative impact on the scientist’s science. “Mann’s work has never been better,” to quote a statement issued this afternoon by Stephen McIntyre, a leader within the denial community. Mann, a groundbreaking researcher, cited “the ordeal of being dragged through the courts by deniers on both sides of the [US-Canadian] border” as another stressor distracting him from his true love: groundbreaking research. Dr Mann, who has directed PSU’s Earth System Science Center since 2013, knows even better than the average climatologist about suffering for one’s science. In 2014 he was hospitalized for a week after two men approached him on the Washington Metro and assaulted his arguments without provocation. The culprits were never caught. “But this is nothing new. The climate has been hostile to scientists for decades,” said Mann. “And the climate hasn’t changed one bit since 1998 or so, unfortunately. Not only has there been zero change in the climate, it’s actually gotten worse, I think. “They can’t attack the science, so they attack the statistics, thermometer placement, logic, sample selection, software, disclosure practices, data retention, data sharing, choice of hypothesis, experimental setup, reproducibility… even the validity of the temperature proxies! Dr Mann said he’d lost the will to do science sometime in the late nineties. Dr Mann also revealed today how close he’d come to quitting several years ago. Ironically, it was only the release in 2011 of the second tranche of illegally-stolen emails from the University of East Anglia—a crime dubbed Climategate 2.0—that convinced him to stay. “Those emails were a wake-up call. For the first time, we saw just how deeply denialism had seeped into supposedly-legitimate scientific circles. To give up then would have been to cede climatology’s upper echelons to the forces of denial and debate, he said. Only in the last couple of years, continued Dr Mann, has he felt comfortable about the prospect of abandoning the profession. Dr Mann was about to answer in depth and to the satisfaction of even the most skeptical person in the room when he abruptly cut the conference short. Handlers for the former scientist apologized, explaining that he was late for court. Tags: newsiness. Bookmark the permalink. Brilliant stuff Brad. This is where you’re most effective in the climate wars – roasting them in their own juices. The guy who masterfully used lawyer right left and centre has the audacity to complain about the ordeal of “being dragged through the courts by deniers on both sides of the [USA-Canada] border”????????? Excuse me but last time I checked all these court actions were Mann versus someone else. Correct me if I am wrong. No doubt they figured: if anyone can win Mann’s case it’s John B. Williams, the guy who got Joe Camel off on charges of advertising to minors. Is he finally settling down finally, devoted to full time, dedicated letter writing to editors of podunk newspapers? I’ve been working on Brexit so I’ve no idea whether this is a spoof but whether or not, it’s a great article. I think this is a spoof, but it doesn’t matter. 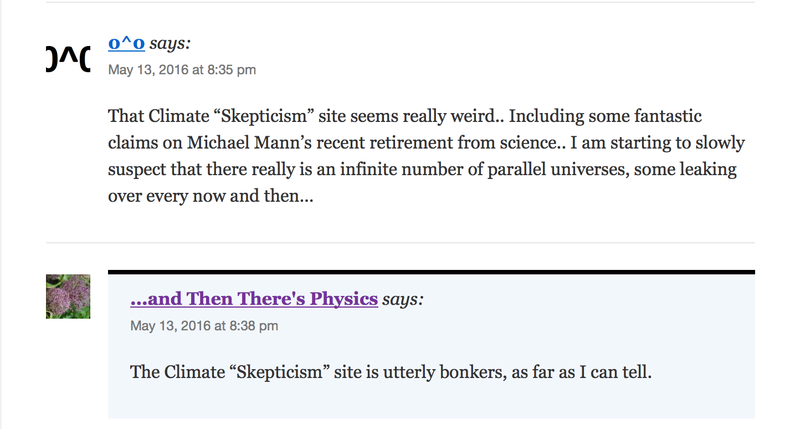 If Mann did retire from doing scientific research, science wouldn’t notice. It’s a travesty that the article didn’t mention Mann’s Nobel prize. Is Mann so devoid of scientific process that he believes all the criteria he views as “attacks” can and should be questioned in the search for scientific truth? or does he believe his mantra is beyond question? Bravo Dr Mann. You should have given up science long ago. Maybe at the start. Science should be approached with a modicum of humility and by persons with egos that can tolerate correction. I hope this decision will help you find the peace you could not find in exploring the mysteries of Nature. Poor Dr. Mann. Why, even the “father of global warming” Wallace Broecker was in on the conspiracy against him! This is click-bait. I thought this was legit. Disappointed. He did. And now he’s given up climate science too. Haha! I recommend clicking on reading it. thanks! Long time no see. Hope you’ve been lurking! You deniers will never learn. Dr. Mann has an intellect that brings shame on Leibniz’s and comparing his accomplishments with those of Aristotle is just plain ridiculous. Or don’t use the banner. Just to avoid confusion. Thanks. thanks for the interesting suggestion. like in Monty python? 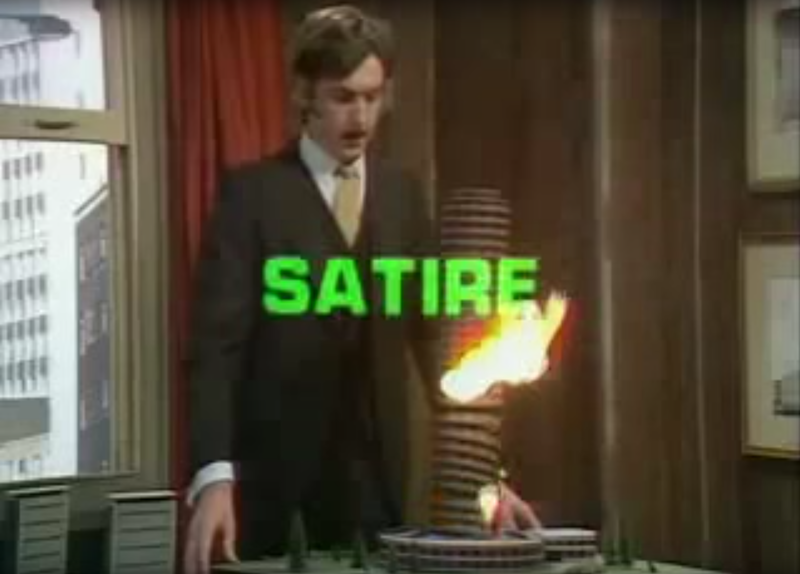 Where they flash the word “satire” across the screen? Yes, good idea. Ian, that’s an awesome idea—but could we do it on an IP-address-by-IP-address basis? In my experience it’s our American readers who would benefit the most from such a system. Hilary, my apologies for the above comment—I meant specifically our readers located between, but not including, Mexico and Canada, in case that was unclear. Paul, I hope I addressed that travesty (with a [sic] after the redressal, but nonetheless…) in the followup post. I disagree with your choice of banner without some notice that it is a parody or spoof. Copyright laws give license to use such things for the purposes of criticism or satire, but such things must be clearly delineated. The category you have it posted in is “news”, and their is no mention of any satire in the article. The un-discerning or casual reader can’t make the distinction, as my Inbox this morning attests to. You are on shaky legal ground, IMHO. Continue without such notice at your own risk. I hadn’t actually noticed how WP was tagging my stories. We’ve now moved it from News to Newsiness. Hi Henry. Wishful thinking I’m afraid. Just for my own curiosity: did you read the article first, or go straight to google? I have spotted a possible typo: shouldn’t the last word in ” [Mann] used an appearance in the nation’s capital today to announce his retirement from science, which he called “the highest and noblest human vocation” be vacation? Hehehe. Well, the NY Times’ spell checkers will be getting a stern letter from me. Where is all the traffic to this story coming from today? How did you find out about it, Alan? Brad. Neh se difficul’ – with the greatest of dexterity I turned on me computery device. Alan, I was thinking more along the lines of: how was it that a year-old post came to your (and hundreds of other people’s) attention[s] today, of all days? Did you see a Tweet? Not that I’m complaining, I just find Twitter’s referrals opaque sometimes. Brad. It just came up as a “Recent Comment” this morning. I didn’t originally note that it was a May posting until after I had responded today. Took me a couple of paragraphs before I twigged; you should come with a health warning. Mann was the instigator of legal proceedings following his absurd hockey stick graph. This has finally caught up with him so I cannot have any sympathy but welcome his final departure if true.